Melbourne is an eclectic city with a different vibe, social scene and aesthetic depending on which suburb you live in. To help you know where to share, we look into some of the most popular choices among renters on our site. They’re awash with culture, they’re close to the CBD, there’s great public transport and there’s a heap of housing options, from terrace homes to new apartments. It’s not hard to see why Melbourne’s inner northern suburbs of Carlton, Fitzroy, Collingwood and Abbotsford are at the top of the list when it comes to searches for private rooms on Flatmates.com.au. Expect to pay for the privilege, with all four suburbs at the very upper end of the scale when it comes to weekly rents. Fitzroy tops the list at $292 per week on average for a private room, Collingwood is close behind at an average of $285, followed by Abbotsford ($281) and Carlton ($276). Brunswick ($237) is also popular, while Thornbury’s ($217) increasing gentrification and cheaper rents have made a hotbed for young renters at a much more palatable price point. Suburbs lining the Yarra River are almost as popular, with South Yarra ($282) a regular choice for its proximity to the city, as well as its parks, open spaces and its café, retail and entertainment scene around the iconic Chapel St.
One suburb to the east you’ll find Hawthorn, where you’ll enjoy many of the same benefits as Richmond but at an average price saving of nearly $40 per week for a private room, making it one of the value picks for Melbourne inner city living. There’s always huge rental demand in the cluster of suburbs around the southern end of Chapel St – for many it’s the number one lifestyle locale in the city, with bars, restaurants, retail and within easy reach of Port Phillip Bay. For thousands of renters, bayside St Kilda ($275) is as good as it gets, with the beach on the doorstep, a thriving local arts scene and regular major events nearby. Windsor ($264) has emerged as one of the city’s premier ‘foodie’ hotspots, while neighbouring Prahran ($266) attracts everyone from young professionals to families and university students. If you don’t mind being five minutes further out, rooms in Balaclava ($243) are often significantly cheaper, with many of the suburb’s predominantly older homes also larger than what you’ll get for your money elsewhere. 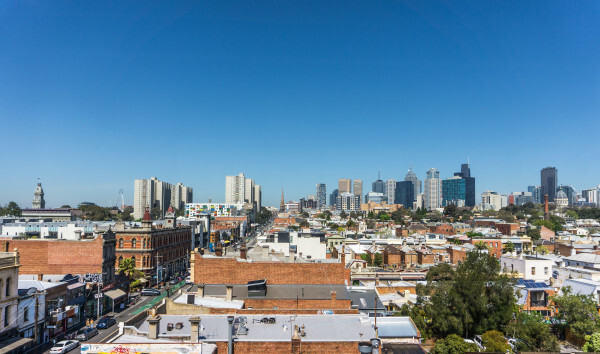 Suburbs such as Coburg ($206), Yarraville ($227), Footscray ($212) and Seddon ($218) have boomed on the property market in recent years and have become equally as popular among renters, ranking in the top 20 most searched-for locations. All are within 10km of Melbourne’s CBD and have undergone seismic shifts in lifestyle appeal over the past decade, yet without the rental price tags of more sought-after suburbs that in many cases are only a minute or two away. So where do you share in Melbourne?